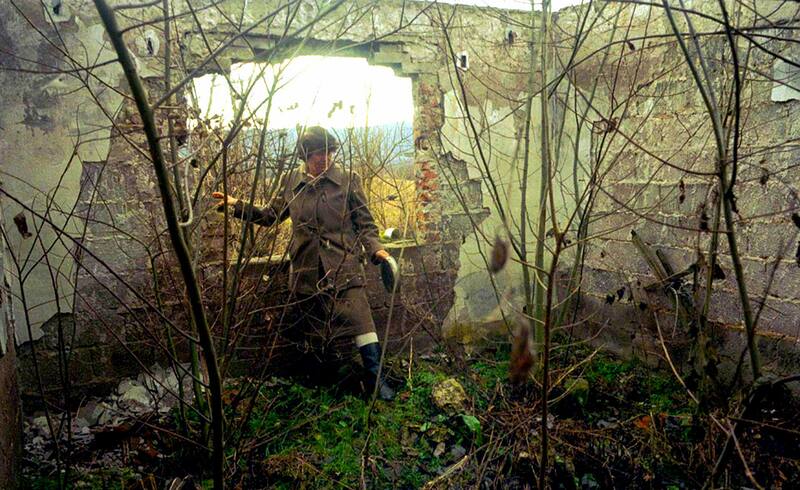 Dusanka Tijanic stands in what used to be her bedroom. She and her husband abandoned their house when the war started in April 1992. The house, number 16 in the village of Memic, literally sat on the front lines of Serbian held territory. Soldiers took everything in the house including all of the appliances, the furniture and the house suffered severe structural damage from repeated shelling.